Abstract: In this paper I will define the structure and operation of racism in general, the differences in the meaning of institutional or structural racism, overt racism, ethnocentrism, prejudice, discrimination, and oppression. I will then talk specifically about the mass incarceration of Black males in North America and its relationship to the history of chattel slavery and the policies of Jim Crow. I will briefly mention the racialized nature of the North American mental health system. Then I will turn my attention to the complex racial dynamics of the organization where I work, The Icarus Project, and how they have been articulated and addressed. I end with some strategies which might be useful for thinking about building bridges between The Icarus Project and social and political movements for racial justice. I decided to pursue a degree in social work in large part because it is the only helping profession that aims to explicitly fight oppression and work for social justice. It is this acknowledgement of the forces of history and politics mixed with the more “clinical” tools and visions of psychodynamics and other therapeutic modalities that attracts both my mind and my heart. As someone who has spent a lot of time institutionalized in the psychiatric system and is committed to working towards a world that where no one ever has to go through what I’ve been through, I see a place for myself in social work. As a white man in a racist society, I have made it my business to understand the nature of racism and racial oppression so I can fight against it and be in solidarity with those who are fighting to get out from under it. I see racism as a force that is oppressive to everyone involved, both the one’s primarily suffering from it and the ones economically and socially benefitting from that suffering. Like bell hooks has articulated, I see racism itself as “psychotic” (hooks, 2000): the history we have inherited and the ways we are taught to identify with it literally makes us crazy. I am very interested in how we can uproot systems of oppression, within our social institutions and our daily interactions. In this brief paper I will try and articulate some of what I’ve learned by doing the readings for class, and work towards something of what I hope can be a language I feel comfortable using in the future. By doing this reading and writing I feel like I am taking part in a critical conversation that will make it easier to join forces with others who are engaged in struggles for racial liberation. According to the National Association of Social Workers (NASW), Institutional or structural racism is defined as the social, economic, educational, and political forces or policies that operate to foster discrimination outcomes or give preference to members of one group over another (NASW, 2007). Institutional racism is normative, sometimes legalized, and often manifests as inherited disadvantage. It is structural, having been codified in our institutions of custom, practice, and law, so there need not be an identifiable perpetrator. (Jones, 2000). In the United States, the cognitive dissonance between the vales and beliefs of the Protestant founders for human rights, (liberty, justice, and democracy) lived alongside the practice of enslavement of Africans, the making of the Mexicans a foreign minority in the land of their birth, and genocide of Native Americans. This dissonance was resolved by classifying groups of people by virtue of their physical characteristics as being not only different but innately inferior and thereby unworthy to rights and entitlements. We are living with the legacy of this history every day of our lives. The social work profession and the systems through which the profession has evolved historically and into the present, is part of a larger society in which policies, resources, and practices are designed to benefit some groups significantly more than others, while simultaneously denying the existence of racism as a variable, except in its most extreme forms. Racism is the practice of discrimination and prejudice based on racial classification, supported by the power to enforce that prejudice. Ethnocentrism is the view that one’s own group is the center of everything and that all things are judged based on ones own group. Prejudice is the negative (or positive/idealized) attitudes, thoughts, and beliefs about an entire category of people formed without full knowledge or examination of the facts. Discrimination is acting on the basis of prejudice. Discrimination is often codified by laws, regulations, and rules (NASW, 2007). People experience oppression when they are deprived of human rights or dignity and are (or feel) powerless to do anything about it. Sometimes this takes the form of exclusion in which people are denied the opportunity to participate in a certain right, benefit, or privilege. Sometimes this takes the form of marginalization, in which people find that they are on the fringe of the political, social, or economic system. It is important to note that the association between socioeconomic status and race in the United States has its origins in discrete historical events but persists because of contemporary structural factors that perpetuate those historical injustices (Jones, 2000). The Jim Crow laws were racial segregation laws enacted after the Reconstruction period in the Southern United States, at state and local levels, and which continued in force until 1965, which mandated racial segregation in all public facilities in Southern states of the former Confederacy, with, starting in 1890, a “separate but equal” status for African Americans. The separation in practice led to conditions for African Americans that were inferior to those provided for white Americans, systematizing a number of economic, educational and social disadvantages (Pitre, 1999). The three largest contemporary psychiatric facilities in North America are jails: Cooks County Jail in Chicago, L.A. County Jail, and Rikers Island in New York. This is a direct consequence of the closure of psychiatric institutions called for by progressive deinstitutionalization advocacy back in the 1970s and this current crisis is also an outcome of strategies proposed to trim national and state budgets. In general, current policies of mass incarceration have led to a daily census count in US jails, prisons, and other sites of imprisonment of almost two and a half million people. (Ben-Moshe, 2014) According to some studies, correctional facilities now hold 95 percent of all institutionalized people with mental illnesses. (Winerip, 2014) The nature of “mental illness” is complicated in itself. According to the Western medical model, it is caused by “chemical imbalances” in our brains, but from a social work perspective most “mental illness” is caused by oppression: racism, sexism, poverty, and other forms of injustice. There is some writing about the relationship between “mental illness” and racism (Metzl, 2010), but often the conversations are happening in different places with different people. The Icarus Project is a support network and media project by and for people who experience the world in ways that are often diagnosed as mental illness. (The Icarus Project, 2014). It has existed for 12 years as a website and a community of unconventional support groups. 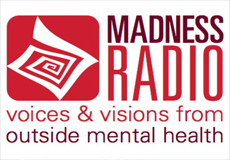 It was initially founded by two economically privileged and educated white people as a place where folks who were looking for alternatives to the psychiatric system could share ideas and support one another. It has grow into a community that has touched the lives of many thousands of people and is helping to change the language and culture of what gets called mental health and mental illness. (DuBrul, 2014). The people who started The Icarus Project were not thinking deeply about racism and race dynamics when they started the organization. Much of the culture of Icarus initially came from anarchism and punk rock activist traveler culture going back to the counterculture of the 1960s, which has very white roots (Duncombe, 2011). While we didn’t use the language of “colorblindness” (Abrams, 2009) we played right into the classic liberal trap of colorblindness. It was only some years into the work that it became clear how divided our experience as middle-class white people were from the majority of poor and working class people of color interfacing with the psychiatric system. As a mostly web based community, race was not initially an issue at the forefront of the project. It was only when we started meeting face to face, and groups started forming around the country, that the problematic racial dynamics began to surface. As a majority white community, that is also almost entirely composed of people who struggle with serious mental health issues, there is a way that what might be seen as microaggressions are sometimes the behavior of folks who have a hard time relating to anyone. It is a complex knot to unravel. We have a lot of work to do to become an anti-racist, multi-racial organization. Without realizing it, we developed an organization that was ethnocentric towards white culture and excluded and marginalized the experiences of the global majority. It is a common issue in non-profit and many activist movements and communities that have their origins in white culture. The Icarus Project is in the process of developing an advisory board that will have a number of people of color on it. We will have to work hard to develop a culture where their voices are raised up above the majority white voices who already have years of experience with Icarus. We also just hired a national organizer who is Latina and who will hopefully be able to work with our emerging dynamics. We will need to make sure to both create space to talk openly about dynamics related to oppression and to make sure everyone feels supported and has allies to talk to when things get hard. Our only hope of growing as an organization and building a relevant movement is by centering the experiences of people of color and grappling with the White Supremacy that clearly causes so much suffering and “mental illness”. How will our base of majority white users that struggle with mental health issues grow and co-exist with the people of color from more marginalized backgrounds? How will we explicitly reshape the culture of our community? It remains to be seen. What is clear is that if there aren’t shared values that prioritize collective liberation (and foregrounding racial justice) then hierarchies from our greater society will inevitably trickle in: the ones who feel entitled to take space will take it, the marginalized will be pushed to the side or get angry and leave. And our internal dynamics will reflect the quality of the work we do on the outside. There are people who are doing really good work around these issues and are examples of organizations founded by white people that are now led by people of color (the Allied Media Conference). But there is so much unresolved trauma around issues of race and oppression. There is also so much potential for good work at the intersection of racial justice and mental health. After reading The New Jim Crow (Alexander, 2010) and making my way though the recently published collection Disability Incarcerated (Ben-Moshe, 2014), I am excited about helping to build bridges between these growing movements. I finished this paper as the verdict is waiting to come down for the officer who shot and killed Mike Brown in Ferguson, MI and there are people gathered in the streets in cities all over the country waiting in protest. I’m in solidarity in front of my laptop, wrestling with the basics. We have a hard road ahead of us, but it least there is no lack of good work to do. 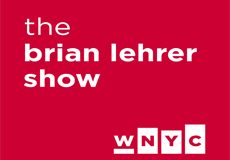 Ben-Moshe, L., Chapman, C., & Carey, A. C. (Eds.). (2014). Disability Incarcerated: Imprisonment and Disability in the United States and Canada. Palgrave Macmillan. DuBrul, S. A. (2014). 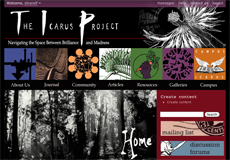 The Icarus Project: A Counter Narrative for Psychic Diversity. Journal of Medical Humanities, 35(3), 257-271. Duncombe, S., & Tremblay, M. (2011). White riot: Punk rock and the politics of race. London: Verso. Jones, C. P. (2000). Levels of racism: a theoretic framework and a gardener’s tale. American journal of public health, 90(8), 1212. Kivel, P. (1995). Uprooting racism: How white people can work for racial justice. Philadelphia, PA: New Society Publishers. Levins Morales, A. (1998). Medicine stories: History, culture and the politics of integrity. Cambridge: South End P.
Metzl, J., & ebrary, I. (2010). The protest psychosis: How schizophrenia became a black disease. Boston: Beacon Press. National Association of Social Workers. (2007). Institutional racism & the social work profession: A call to action. Pitre, M. (1999). In struggle against Jim Crow: Lulu B. White and the NAACP, 1900-1957 (First edition.). College Station: Texas A&M University Press. Winerip M, Schwirtz M. Rikers: Where mental illness meets brutality in jail. New York Times 2014; 14 July. http://www.nytimes.com/2014/07/14/nyregion/rikers-study-finds-prisoners-injured-by-employees.html (accessed 28 July 2014).